We’ve come a long way from the tools I had when I was a kid! My art program of choice in the late 1980s / early 1990s was Neochrome, a program included with almost every Atari ST ever made. Talented folks could use Neochrome to make some cool images. 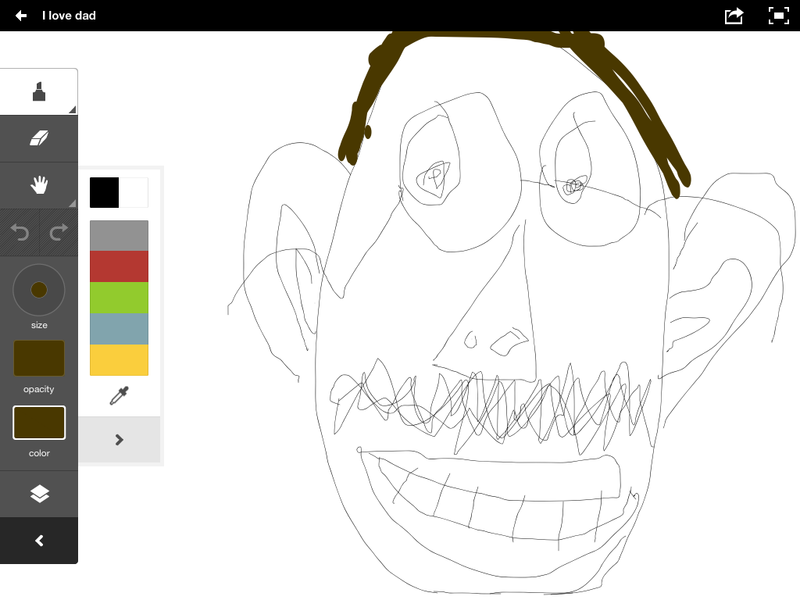 I was not such a person, but that didn’t stop me from making my own creations. One of my own Neochrome creations. 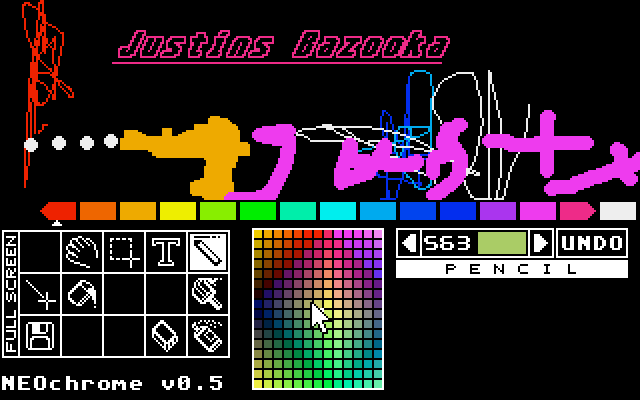 The bottom half of the image is the Neochrome GUI. 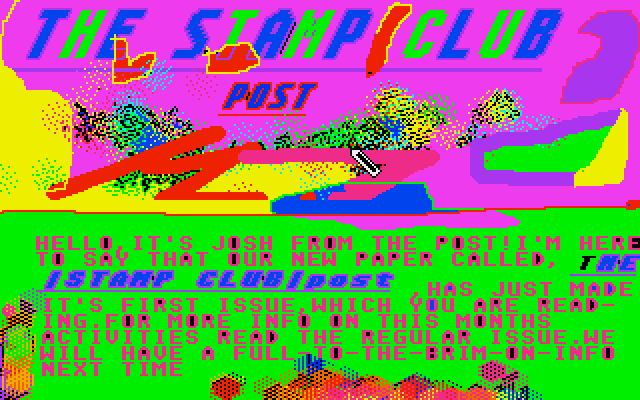 A psychedelic ad for newspaper called the “Stamp Club Post,” which I created in Neochrome as a kid. I don’t design newspapers this way anymore. Maybe I should. One of my brother Justin’s Neochrome creations. 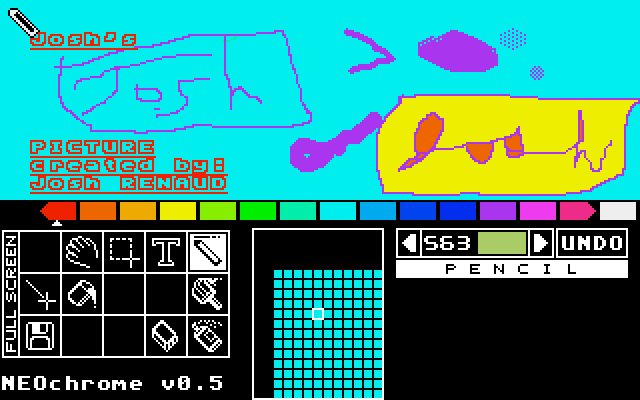 The bottom half of the image is the Neochrome GUI.